One of the best things about Gulebaghavali is that the film knows it’s no Indiana Jones, and therefore, doesn’t want us to take it seriously. Gulebaghavali, which was promoted as an adventure comedy, doesn’t quite live up to its full potential and that’s a downer. However, it’s not one of those films you can easily write off, for it has moments that make it rise above its flaws. The madcap chase sequence that leads to the interval is one of the best stretches of the film, which is otherwise a weak competitor to last year’s highly celebrated adventure-based horror comedy Maragatha Naanayam. One of the best things about Gulebaghavali is that the film knows it’s no Indiana Jones, and therefore, doesn’t want us to take it seriously. In the climax, when we see a group of men fight over human skeleton, it comes across as silly, but at the same time is fun because of the way it’s treated. Thanks to the ensemble of comedians, who elevate the film to great heights at important junctures, keeping the film from going down the drain, the film works on the whole. Mottai Rajendran, for instance, gets some of the best moments of the film and his portions are an absolute delight to watch, particularly the one about his dead mother. 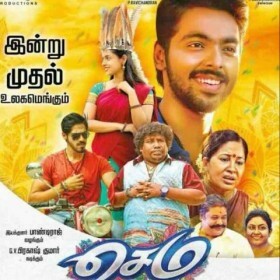 In my opinion, Revathy is the star of the film. She gets the best introduction scene a woman has ever got in Tamil cinema in a long time. If that’s not a better reason to celebrate, you should watch her play a con woman with ease and nail her part. She joins Prabhudheva, Hansika and Muniskanth on a mission to uncover hidden treasure. As a team, they generate a few laugh-out-loud moments but don’t quite make an impact. 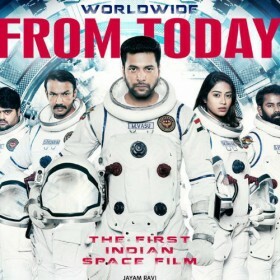 The film needlessly deviates from the core plot and shifts focus on the romance portion between Prabhudheva and Hansika, only to make scenes between cringe-worthy and utterly boring. Hansika, despite being around for a decade, still struggles to emote convincingly and get the lip sync for her dialogues right. In essence, Gulebaghavali works in parts, especially when it treads the comic path and not when it gets into the adventure zone.